1. 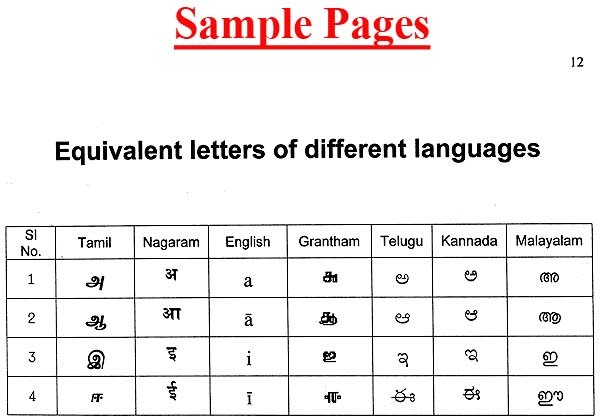 The book provides the samhita, Pada, and Ghana patha with full Sandhi (junction of words or padas) in Devanari and Phonetic English script as is recited in any Ghana parayana. 2. This will an eye opener and guide to those people who wish to recite Ghana without going into details on Pada, Lakshna (Grammar), rules of Sandhi, etc which they may would know later and also suggested. 3. This book has been prepared after the author learned the given text, from the beginning to the end, written by himself and reading in the presence his Guru (teacher) and correcting the same wherever necessary. 4. It is fully phonetic in nature. 5. 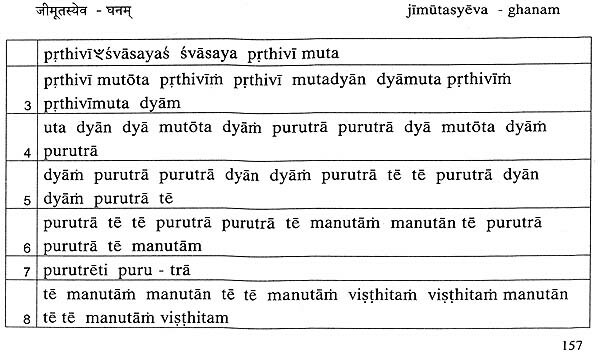 To add further, additional letters by way of conjunct or consonants have been added/inserted in appropriate places to utter/pronounce Dvitva. 6. 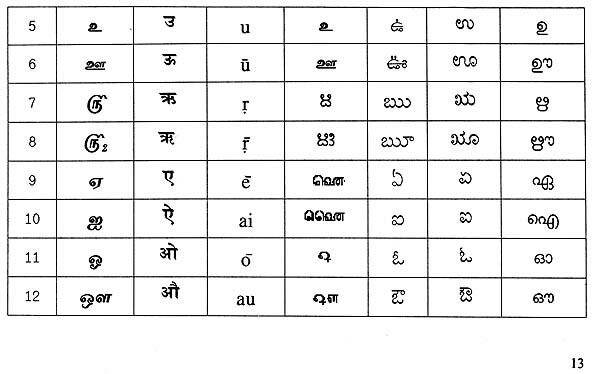 Maximum Visargas in Sandhi, occurring in the Ghana patha, while reciting, have been replaced with suitable alphabets. 7. 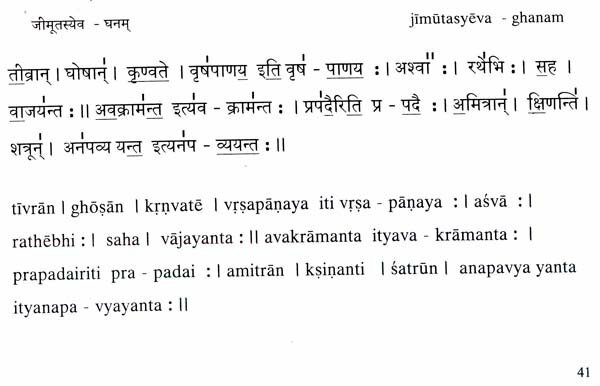 The words are arranged with gaps to represent dvitva, start from Anudatha, end in Svarita or Udafta or during extra matra to help the beginners of Ghana patha so that, they can breath, stop or begin the next word while learning. 8. 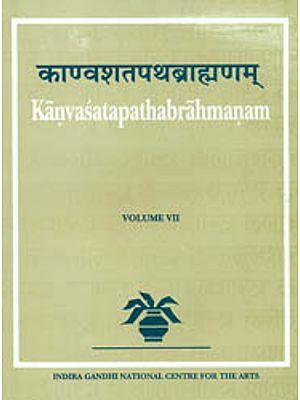 For Kampha or additional dvitva, a dash “-” with or without number for extra matra are also provided to help the readers. 9. 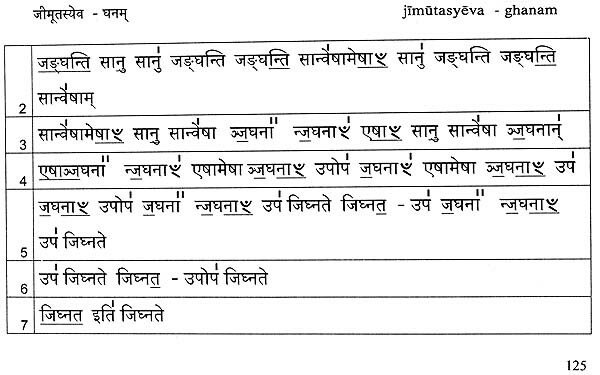 The book will be very helpful for readers to understand how Svara and letter changes due to sandhi rules. 10. The book adopts the style, which pundits follow in Tamil Nadu, India. 11. Finally, readers will be able to understand the concept of Ghana patha with the help of this book, and more so, may find easy to recite Ghana with the help of their Guru/teacher to begin with. He is a native of Varahoor Village in Tanjore District, Tamil Nadu, India. Born during 1966 as the 2nd Son for Late Sri. P Krishnamoorthy Iyer and Smt. K Meenakshi Ammal, and had his schooling in Sir. P S Sivaswamy Iyer Hr Secondary School. Tirukattupalli. He had his B.Com degree from Vivekananda College, Mylapore with 1st Class and got University 3rd Rank from University of Madras for his Post Gradution in Commerce (M.Com) through A.M Jain College, Meenambakkam, Chennai. He is an All India Rank Holder in CA, CW A and CS from Indias' Premier Institutes like Chartered, Cost & Works, and Company Seceretaries of India. He also received Post Graduate Diploma in Foreign Trade Management (PGDFTM) from Indian Institute of Export Management, Calcutta. In addition to this, he also had Diploma in Hindu Astrology (DHA) from Kadalangudi Institute of Astrology, Chennai. 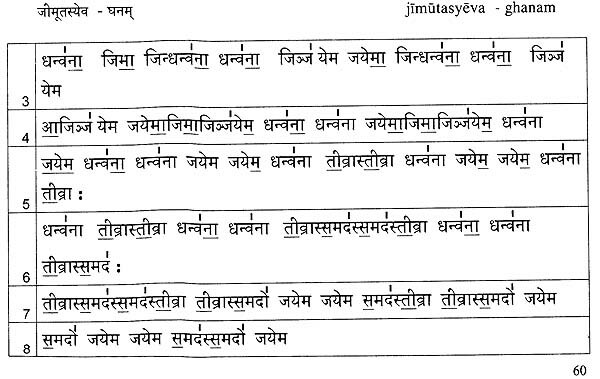 A) Rig Vedam: Learning under Shri. B V Surya Narayana Bhat Ghanapatigal, Mylapore and Sri. Govind Prakash Bhat Ghanapatigal, Bangalore. B) Krishna Yajur Vedam: Learning under Shri. V G Subramanya Ghanapatigal, Mylapore, Chennai. 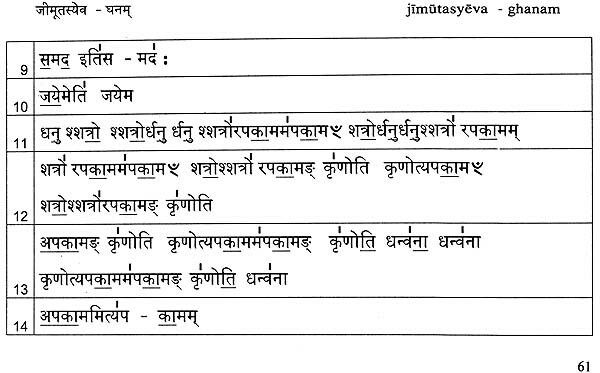 C) Sukla Yajur Vedam: Learning under Shri. Parasurama Ghanapatigal, Ambattur, Chennai. It was my unquenched desire to provide Ghana Paathaa in script form to people, who, either did not have opportunity to pursue formal Vedic studies or has not reached Vikruti Paathaa during their studies, but have enthusiasm to recite some part of Ghana paathaa. 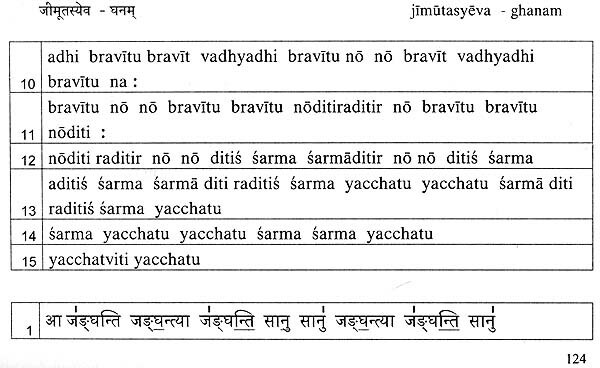 Now a day, finding a qualified Ghanapathi is a very difficult task, since it takes a very long time to undergo the difficult part of their curriculum, like enormous portion in Samhita itself, and different kinds of rules (Lakshanaa) for Vikruti Paathaa etc. Hence to become Ghanapathi in Veda would take more years. 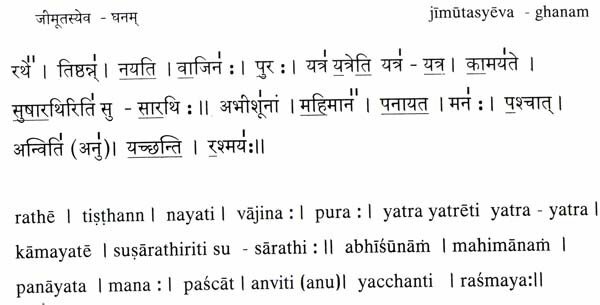 After writing Ghana Paaatha for Sri Rudra, Chamaka, Pancha Rudra, Yajur Asirwada Ghana Patha (Vol-1,2,3), Sri Rudra Krama Paatha and Special Suktas from Rig Veda, I decided to write the Ghana Paatha for (1) Ashwamedha Mantra (Jeemootasyeva) for victory over enemies and to rule the land, (2) Apratiratha Mantra (Aasusishana :) for success in all ventures one undertakes, (3) Vishvajite and Raayo Bhudna : for acquiring immense wealth and income and (4) Aano Bhadraa: for acquiring various skills and knowledge and to live healthy long life, in Sanskrit and phonetic English. All these books contain the meaning of that mantra in English so that before start learning the Samhita or Ghana, the reader can understand its meaning in full and its usefulness to him. 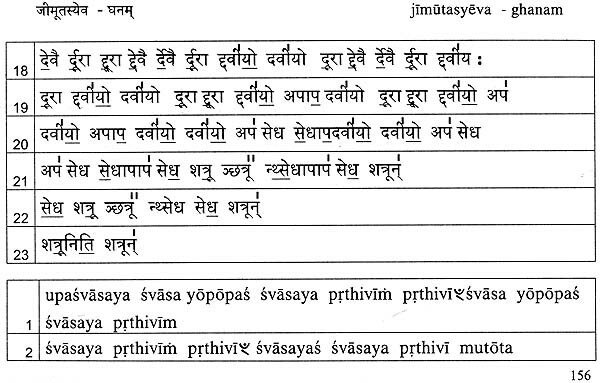 Students may find this useful for their easy recitation, and can recite these mantras in any occasion for blessing. To make it more easy and convenient to the Vedic lovers, Audio CDs were also released on those topics, so that they can go through simultaneously the books and audio. As I said in my earlier books, it is my duty to consider all your valuable feed back to improve as much as possible, since my duty is to disseminate the knowledge, which God has given me on this subject. To know more about fundamentals of The Veda, Mathematics, Time, Astrology, Nakshatra, Branches of Vedas, meaning of Chamaka etc, kindly refer the books already published. I hope this book will be a guide to the readers to understand the concept of Ghana and its Sandhi. 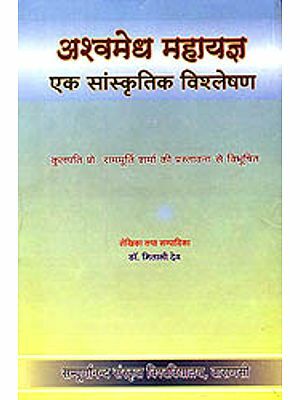 This book provides samhita, Pada and Ghana Paathaa of entire Anuvaka or Sukta along with its meaning in English. I will be much obliged to the readers, for their valuable feed back, in rectifying the book, in case they find any errors. Though utmost care has been taken during preparation, I sincerely regret for any errors, that might have occurred or appearing in this book, and request the readers not to consider it seriously with their nobility. 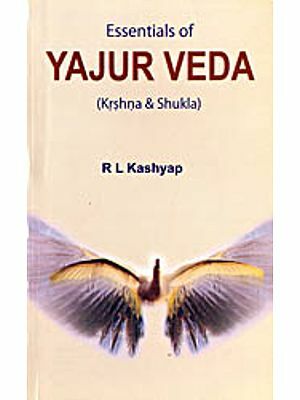 Those who are learning with the help of this book could approach the Vedic scholars for correct pronunciation, maatraa, svaraa etc. It is important to note, learning through Guru (teacher) with due respect would be permanent and good to us, as advised by our forefathers. At this juncture, I would like to express my sincere gratitude to Shri. V G Subramanya Ghanapatigal, Mylapore, Chennai Shri. B V Suryanarayana Bhat Ghanapatigal, Mylapore, Chennai, Shri. Govind Prakash Bhat Ghanapatigal, Bangalore and Shri. Parasurama Ghanapatigal, Ambattur, Chennai for their utmost patience, time provided to me, devotion to Vedaa and sacrificing attitude as an adyapakar (teacher), under whom I am learning Ghana Patha from different Veda Shakas. I would also like to thank the great people who have provided me with lot of technical, legal, financial, translation help, without which, I am not able to release these books with full confidence and faith. There is no need to say, the readers could realize, lot of man-hours and money have been deployed, to bring the book in to this shape. I sincerely solicit your patronage to make this venture a success, which rest with the people like you, who are interested in learning the Veda. I would also like to thank the publisher of this book Smt. Latha for all her effort. I hope these mantra will help all people who desire to learn and recite Ghana and very useful and handy to them.